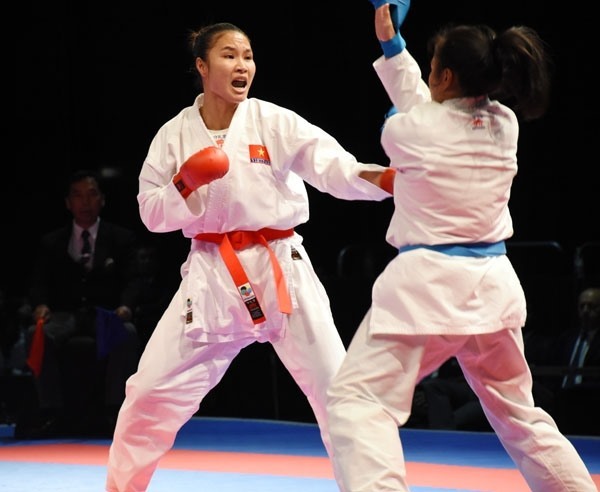 HA NOI — Hanoian Nguyen Thi Hong Anh successfully defended her title in the women’s over 68kg at the karate event at the National Sports yesterday. The event was held at Trinh Hoai Duc Gymnasium in Ha Noi. Anh, who won gold medal at the recent Southeast Asian Games, beat Le Thi Thuy of Thanh Hoa 3-2 in the final. Anh controlled the fight and gained points with quick attacks. However, Thuy fought back strongly to lead 2-1. With just 15 seconds to end the match, Anh bounced back to secure the match 3-2. In the women’s 68kg, Dinh Thi Huong failed to bring Ha Noi team a gold medal after losing to Ho Thi Thu Hien of Ha Tinh 0-3 in the final. In the women’s 61kg final, Nguyen Thi Ngoan of the Military team beat Hoang Thi Thanh Huong of Ha Tinh 1-0. In gymnastics, after four days of competition, HCM City triumphed with six gold, four silver and four bronze medals. The Ha Noi capital team finished second with five gold, nine silver and six bronze. 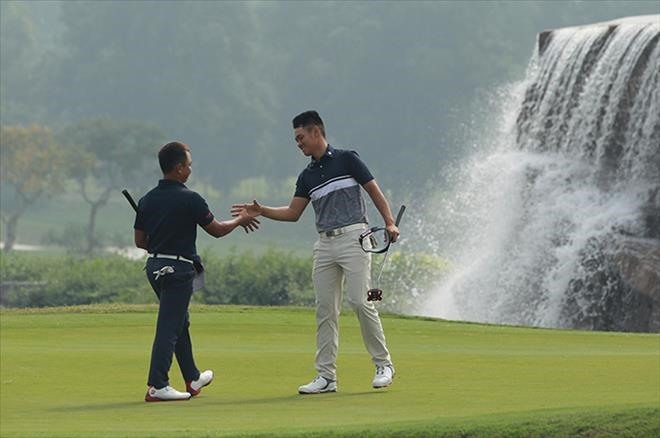 While Hai Phong and the Military team shared the third place with five gold, nine silver and six bronze. “This was a successful competition for HCM City following careful preparation for the event. It will help the team firmly believe in building plans to develop the municipal gymnastics,” said Nguyen Viet Phuc, head of gymnastics section of HCM City.